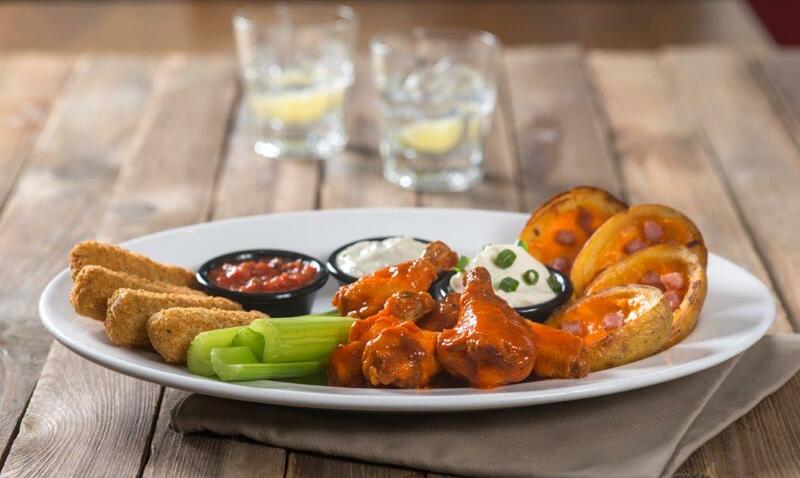 A trio of our most famous appetizers: Loaded Potato Skins, Fried Mozzarella and our spicy Buffalo Wings, complete with sour cream with green onions, marinara sauce and celery sticks with Bleu cheese dressing. 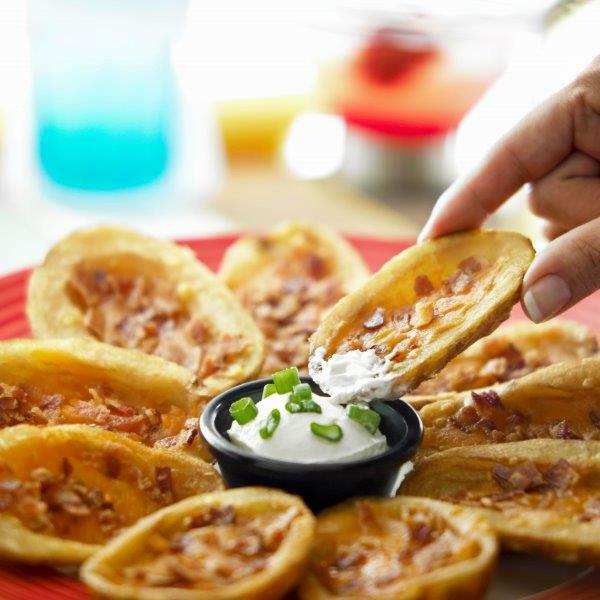 Our signature Fridays™ skins fully loaded with melted cheese, crisp bacon and served with sour cream and green onions. 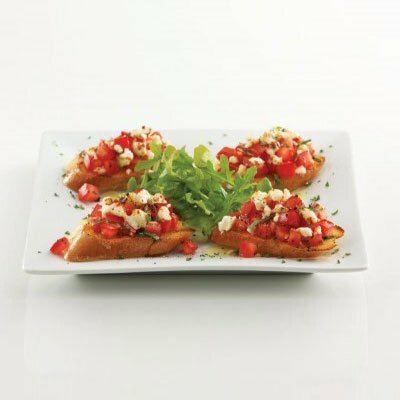 Four ciabatta bread slices topped with olive oil, tomatoes, garlic, basil and Feta cheese. Served with fresh baby rocket. 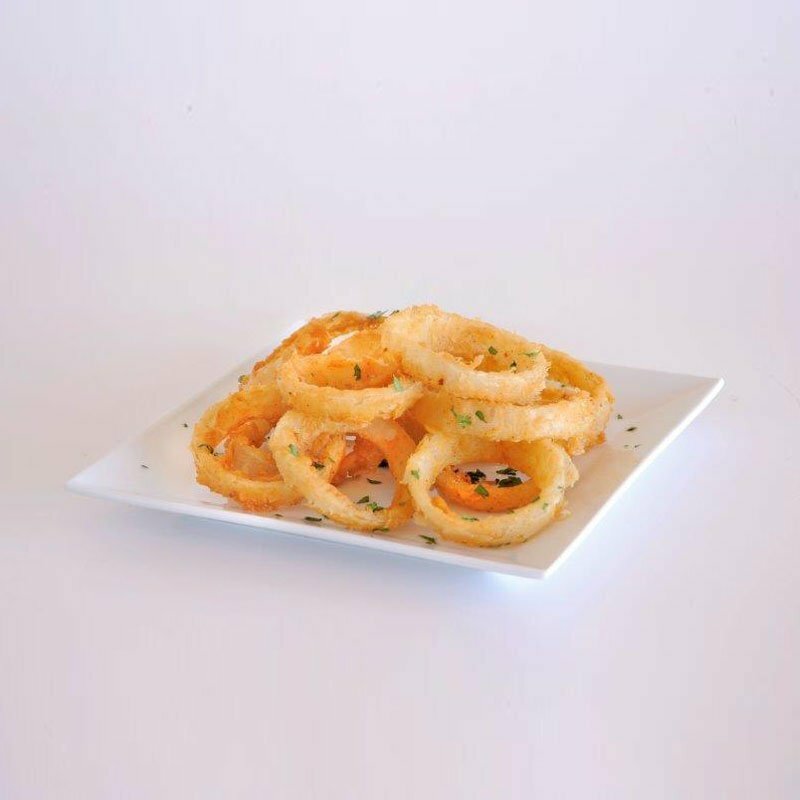 Thinly sliced sweet onion rings lightly battered and fried up crisp and golden. Served with Fridays™ Signature Glaze. 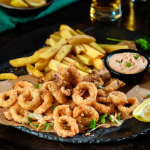 Marinated Cajun-fried baby calamari. Served on a bed of taco slaw mix with a touch of fresh lime dressing and our traditional Southwest sour cream. 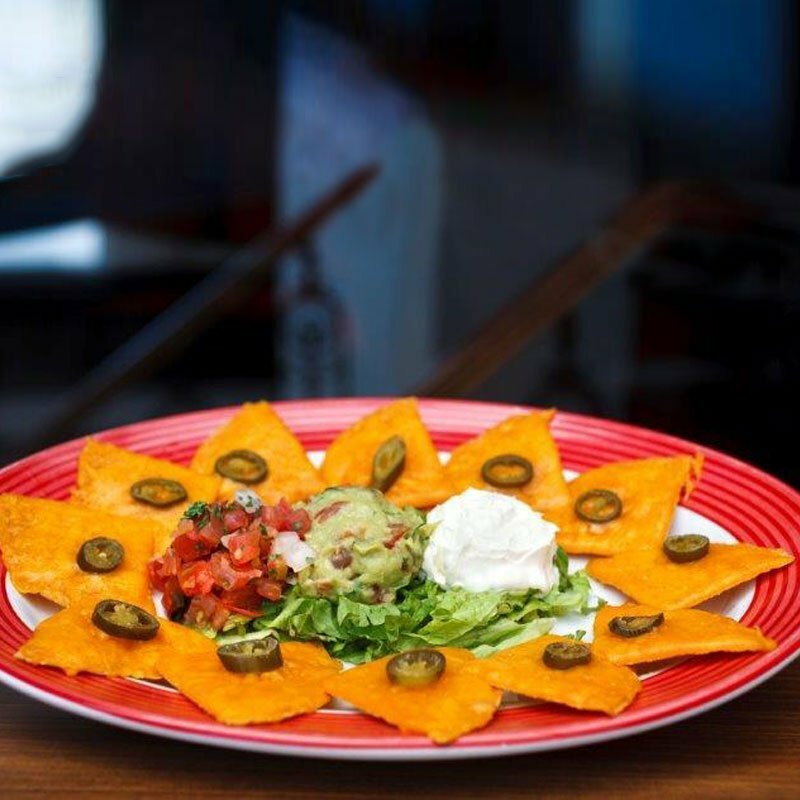 Served traditional style with Cheddar cheese on crisp corn tortilla chips. Topped with jalapeño slices and accompanied with pico de gallo, guacamole and sour cream. 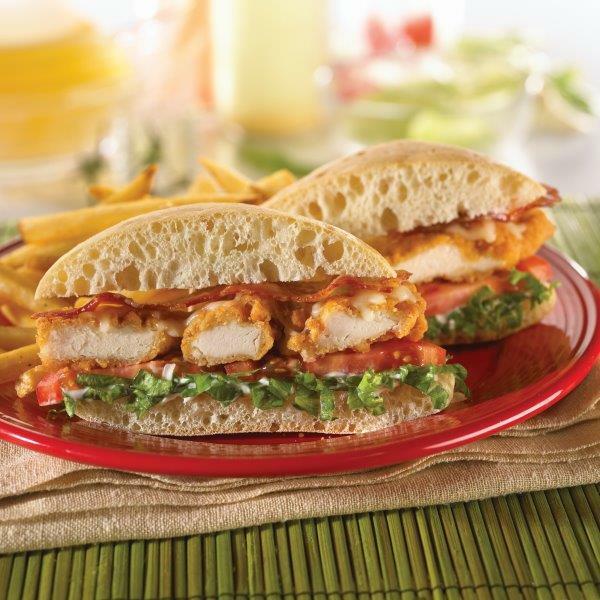 Our flour tortilla is packed with grilled chicken, tomato-basil mix, bacon and Monterey Jack cheese. 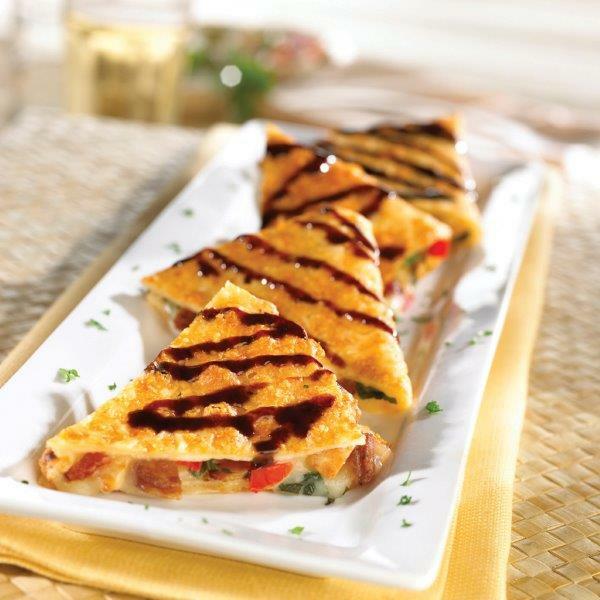 We coat it with Parmesan and pan-fry it until crispy, golden brown, then drizzle it with balsamic glaze. 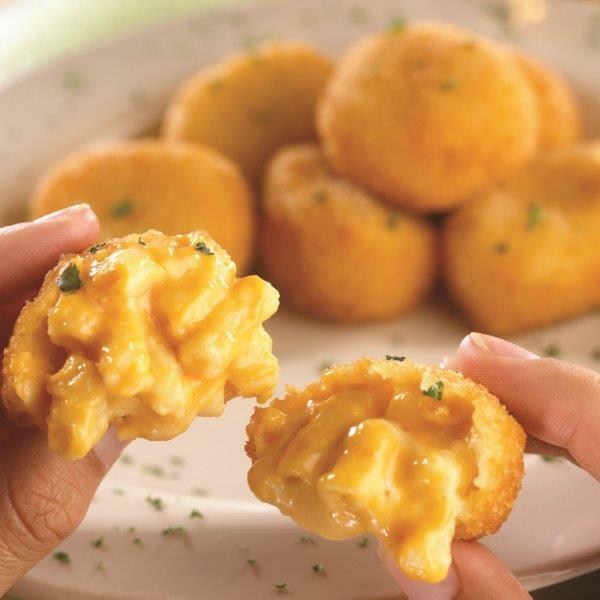 Irresistible creamy cheeses and elbow noodles, golden-fried to perfection. Served with marinara sauce. Fresh button mushrooms, hand battered and crispy fried. Served with Dijonnaise sauce. 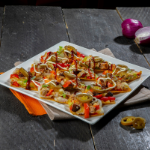 Corn tortilla chips topped with slow-cooked, Guinness-braised pork belly, Monterey Jack cheese, jalapeño slices, onions and sweet peppers. Drizzled with sour cream and BBQ sauce. 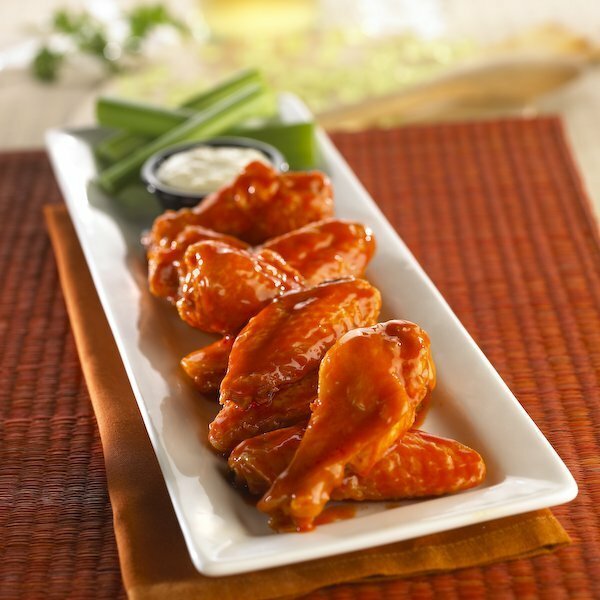 Chicken wings tossed in spicy Buffalo sauce. 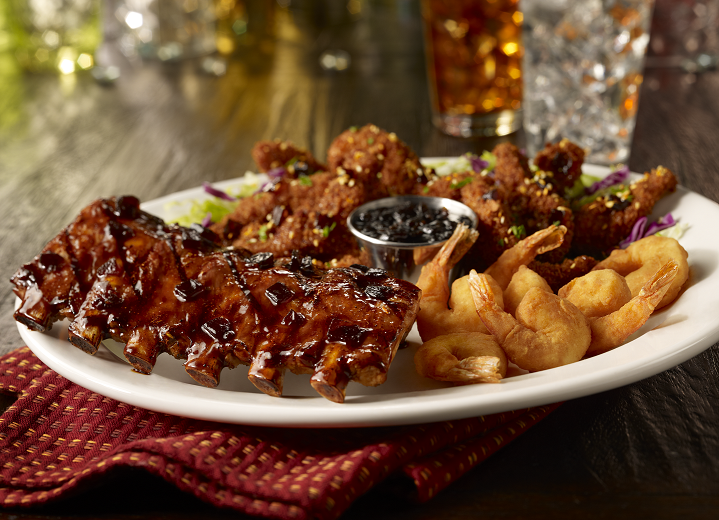 Our signature platter of crispy Cajun shrimp, Fridays™ Sesame Chicken Strips and a half rack of Fridays™ Signature Glazed Ribs with extra Fridays™ Signature Glaze for dipping. 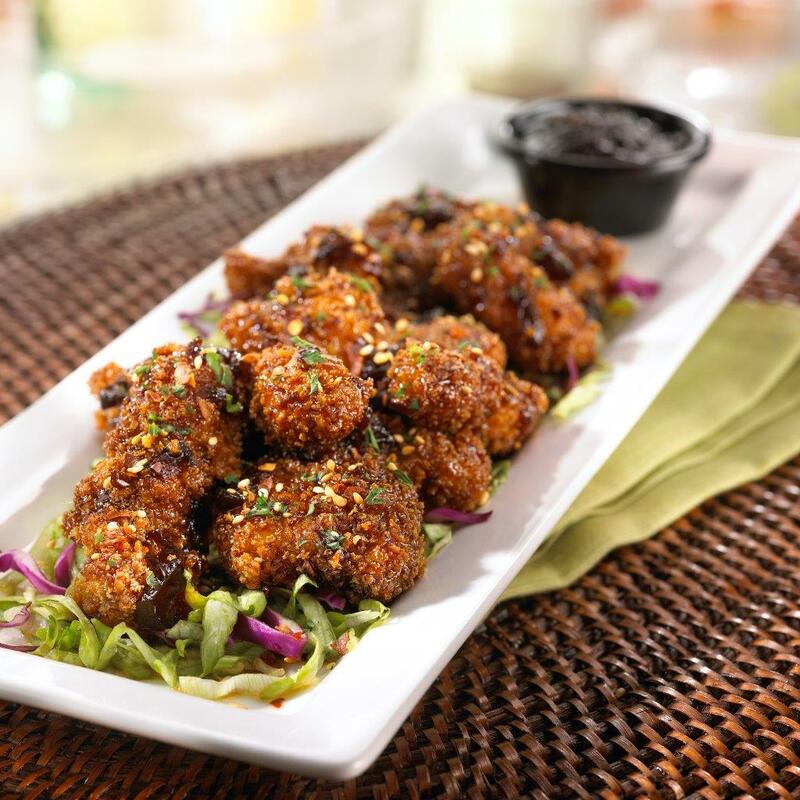 Sesame Chicken Strips tossed in Fridays™ Signature Glaze. Served on a bed of fresh green salad with Honey Mustard and Fridays™ Signature Glaze dressing. 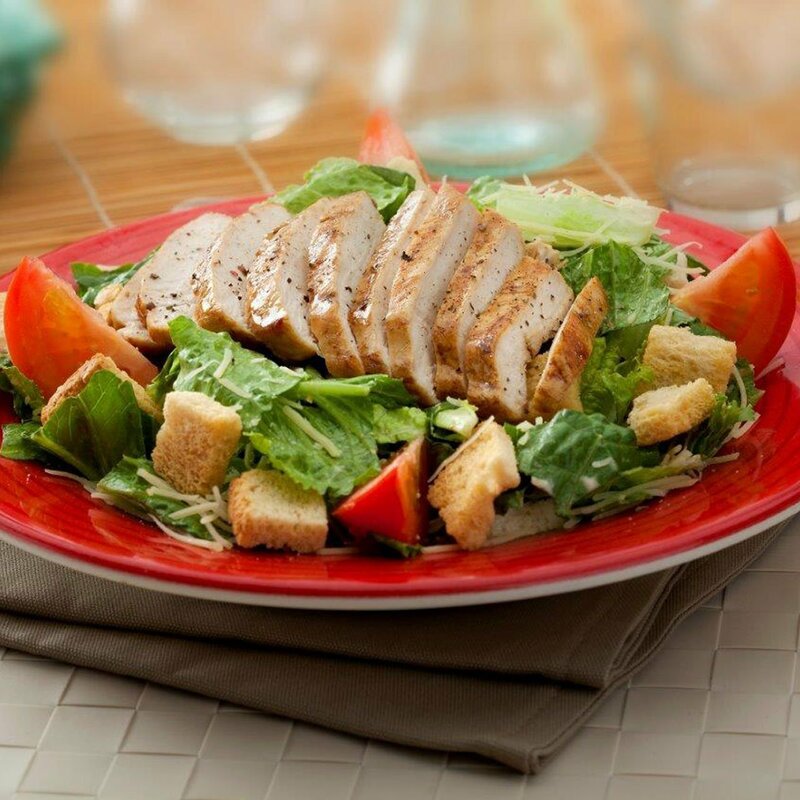 Slices of chargrilled chicken breast, with crispy hearts of romaine, tossed with our creamy Caesar dressing, Parmesan cheese, tomatoes and crunchy croutons. Available without chicken. 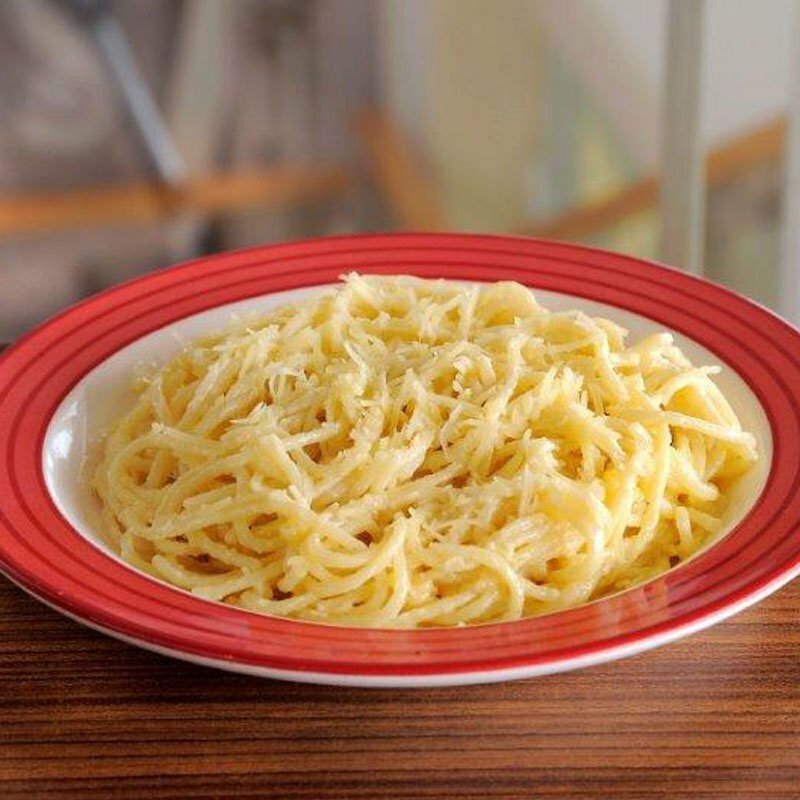 Al dente fettuccine pasta smothered in our creamy Alfredo sauce. 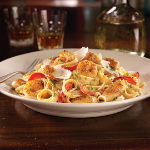 Topped with juicy chicken and shrimp, sautéed with sweet red bell peppers in our spicy Cajun butter-finish with Parmesan cheese. 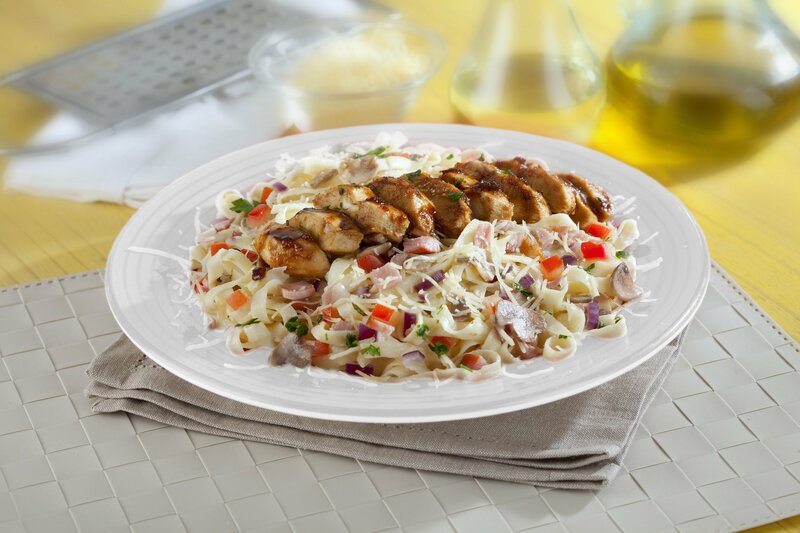 Tender grilled chicken breast basted with our Fridays™ Signature Glaze served on a bed of fettuccine pasta tossed in Alfredo sauce with bacon, onions, mushrooms, tomato and white wine. 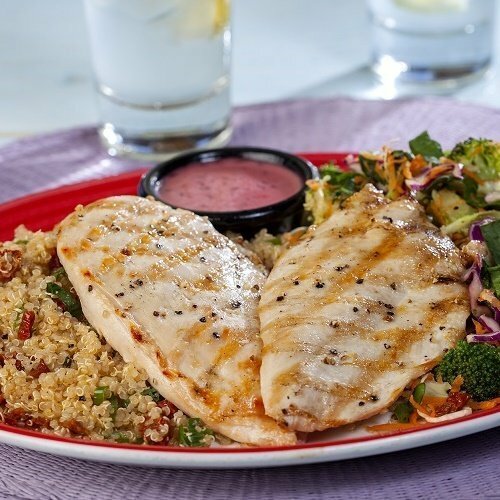 Two marinated grilled chicken breasts with quinoa with sundried tomatoes. Served with fresh broccoli slaw salad and our homemade pomegranate Honey Mustard sauce. Marinated grilled Norwegian salmon* fillet with quinoa with sundried tomatoes. Served with fresh broccoli slaw salad and our homemade pomegranate Honey Mustard sauce. Grilled chicken served on top of fettuccine pasta with garlic, herbs, white wine, mushrooms, cheese and marinara sauce. Fresh green salad with quinoa, crispy romaine, cucumber, cherry tomatoes, carrot, basil, cilantro and dried cranberries. 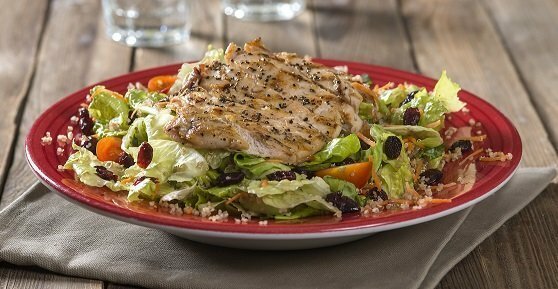 Dressed with orange vinaigrette.Also available with Chicken or with Salmon. Shrimp sautéed in garlic, herbs, white wine, mushrooms and cheese, tossed with fresh marinara sauce and served over a bed of fettuccine. 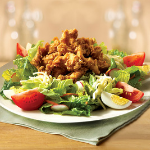 Crispy Cajun-battered chicken breast strips served on mixed greens with tomatoes, hardboiled egg and Monterey Jack cheese. Served with Honey Mustard dressing. 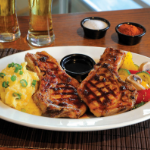 Two fire grilled pork chops, basted with Fridays™ Signature Glaze. Served with Cheddar mashed potatoes and chef’s vegetables. 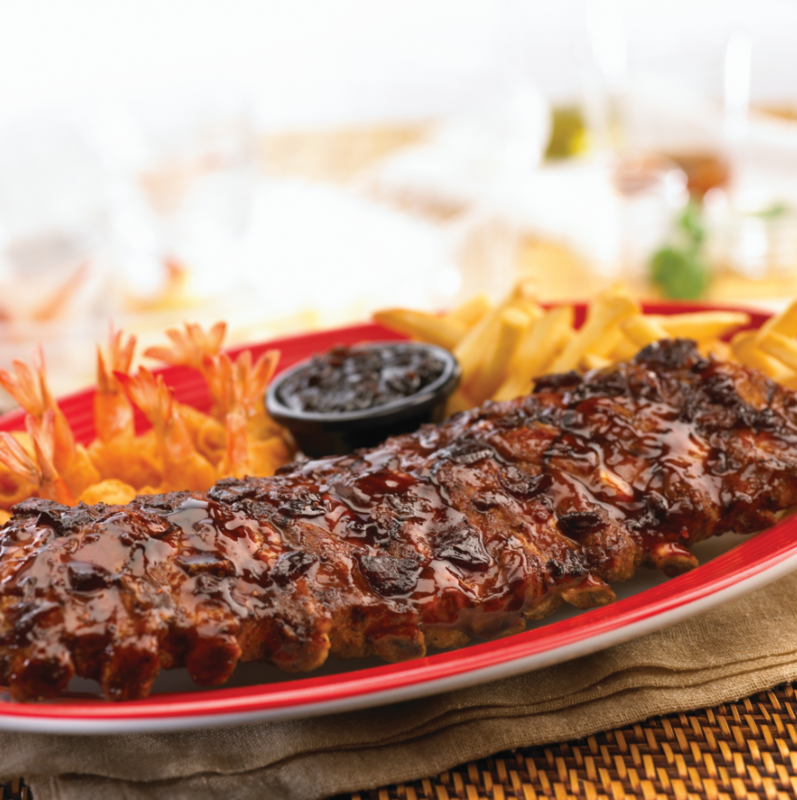 Full rack of baby back pork ribs on the grill, glazed with Fridays™ Signature Glaze. Served with golden butterflied Cajun shrimp and crispy seasoned fries. 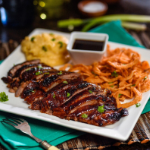 Grilled duck (approx. 300gr) with frizzled Cajun onions and Cheddar mashed potatoes. Topped with your choice of sauce: BBQ or Fridays™ Signature Glaze. 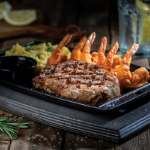 Norwegian salmon* fillet chargrilled and basted with Fridays™ Signature Glaze. Served with Cheddar mashed potatoes and chef’s vegetables. 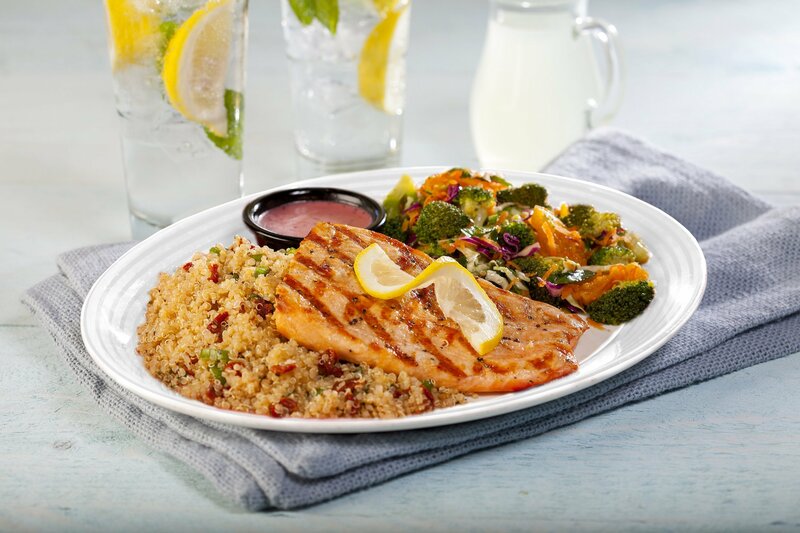 One juicy grilled chicken breast drizzled with Fridays™ Signature Glaze and Cajun spiced shrimp. Served with Cheddar mashed potatoes and chef’s vegetables. 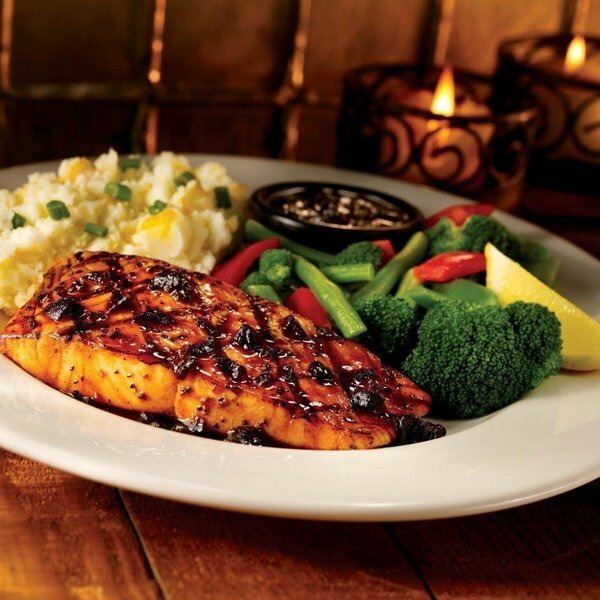 Two grilled chicken breasts basted with Fridays™ Signature Glaze. Served with Cheddar mashed potatoes and chef’s vegetables. The lean meat of young cattle. Two juicy, fire grilled veal steaks (approx. 300gr) with delicate flavor and velvety texture. Served with Cheddar mashed potatoes and chef’s vegetables. The king of steaks. A thick center cut Black Angus steak (approx. 280gr) from the tender and flavorful premium short loin. Served with Cheddar mashed potatoes and chef’s vegetables. 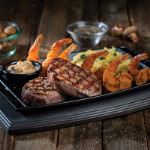 Indulge in a Black Angus ribeye steak (approx. 280gr), the most flavorful of steaks with the ultimate marbling for a tender texture. Served with Cheddar mashed potatoes and chef’s vegetables. flavorful premium short loin. Served with six crispy Cajun shrimp and Cheddar mashed potatoes. 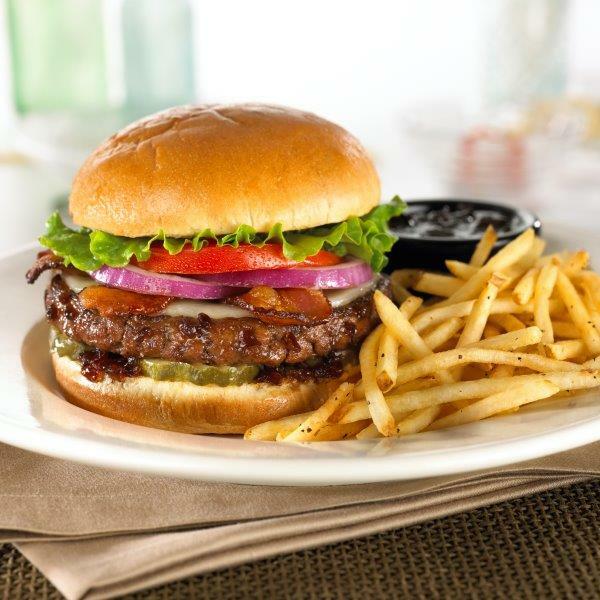 Indulge in a Black Angus ribeye steak (approx. 280gr), the most flavorful of steaks with the ultimate marbling for a tender texture. Served with six crispy Cajun shrimp and Cheddar mashed potatoes. The lean meat of young cattle. Two juicy, fire grilled veal steaks (approx. 300gr) with delicate flavor and velvety texture. Served with six crispy Cajun shrimp and Cheddar mashed potatoes. 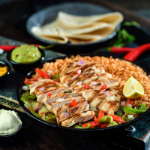 Marinated fire grilled chicken topped with pico de gallo and served on a skillet of sautéed onions and sweet peppers. Accompanied with Spanish rice, hot flour tortillas, guacamole, sour cream and Colby cheese. 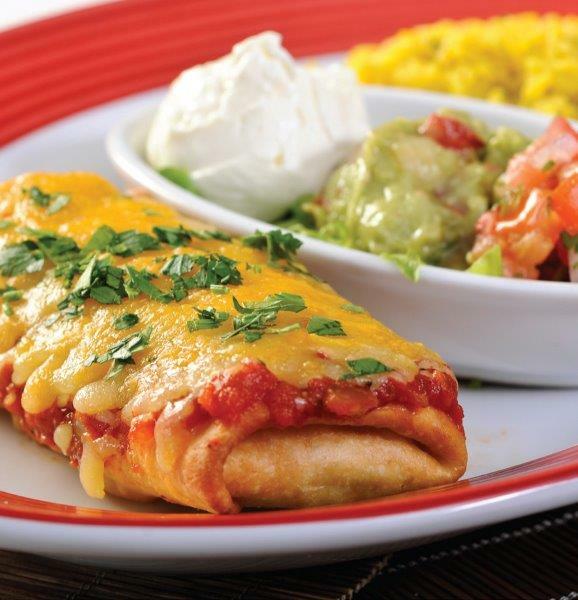 Flour tortilla filled with chicken breast, peppers, melted Colby and Monterey Jack cheeses and marinara sauce. Served with Spanish rice, guacamole, sour cream and pico de gallo. 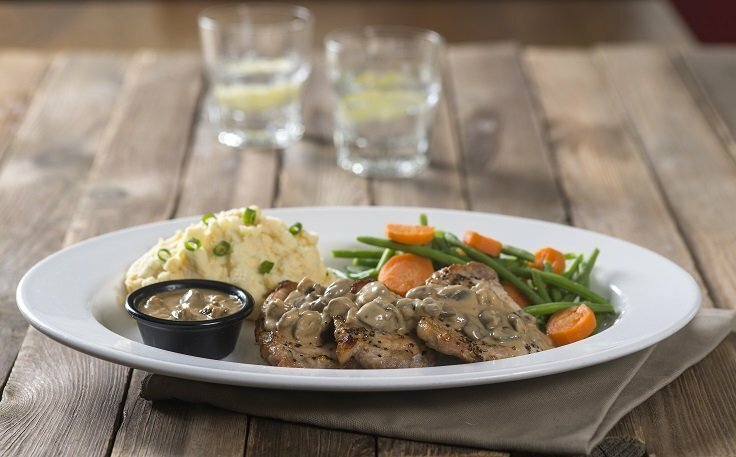 Three juicy pork cutlets, topped with Creamy Mushroom sauce made with Fridays™ Signature Glaze. Served with Cheddar mashed potatoes and chef’s vegetables. 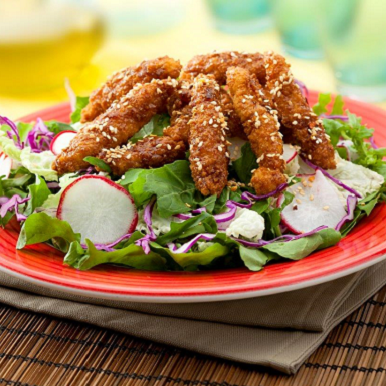 Marinated Cajun-fried baby calamari. Served on a bed of taco slaw mix with a touch of fresh lime dressing, crispy seasoned fries and Southwest sour cream. 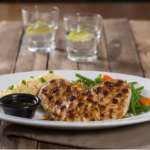 Your choice of classic or Cajun chicken tenderloins, served with crispy seasoned fries and Honey Mustard sauce. 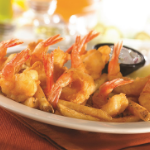 A dozen crispy shrimp, served with crispy seasoned fries, chef’s vegetables and tartar sauce. Premium burger patty with melted cheese and bacon, frizzled Cajun onions, with BBQ and Dijonnaise sauce. 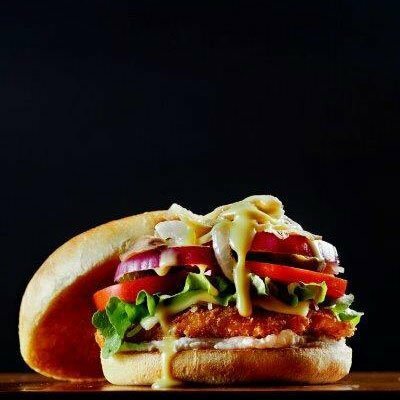 Breaded chicken breast covered with melted Monterey Jack, Parmesan and Philadelphia cheeses, topped with caramelized onions, mushrooms and garnished with Honey Mustard sauce. 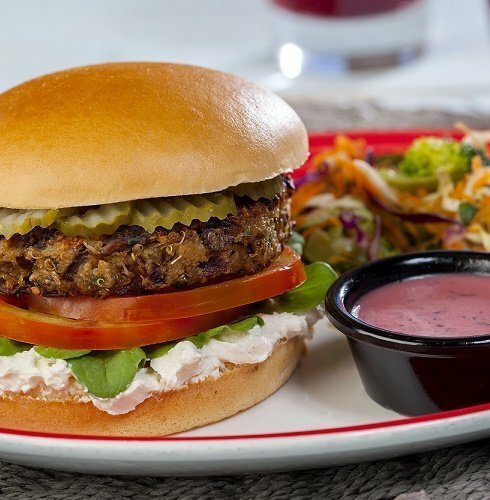 Quinoa burger made with mushrooms, onions and eggs, served with Philadelphia cheese on a bed of baby rocket. Accompanied with fresh broccoli slaw salad and pomegranate Honey Mustard sauce. 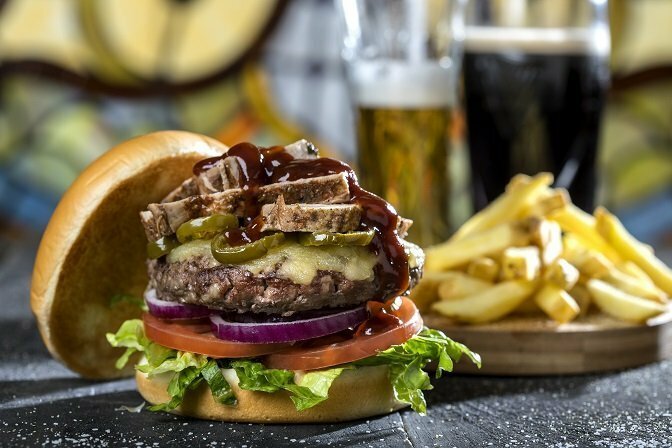 Fire grilled burger with melted Monterey Jack cheese, jalapeño slices, slow-cooked, Guinness-braised pork belly and BBQ sauce. 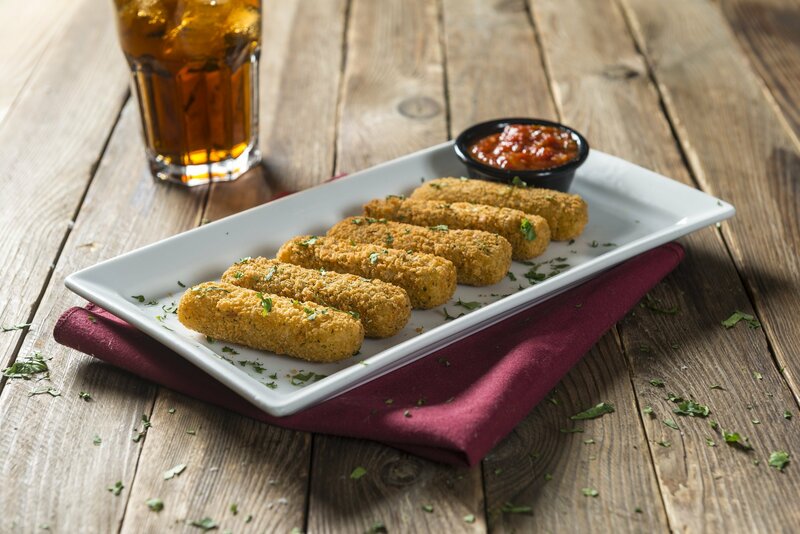 Crispy, hand-battered chicken tenders covered with melted Monterey Jack cheese. Stacked on toasted ciabatta bread with crispy bacon, lettuce, tomato and mayonnaise. Served with crispy seasoned fries. Two juicy burgers with Fridays™ Signature Glaze. 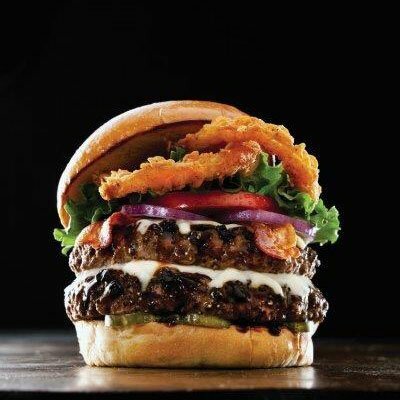 Stacked with Monterey Jack cheese, crispy bacon and Cajun-battered onion rings. Also available with melted cheese and bacon. 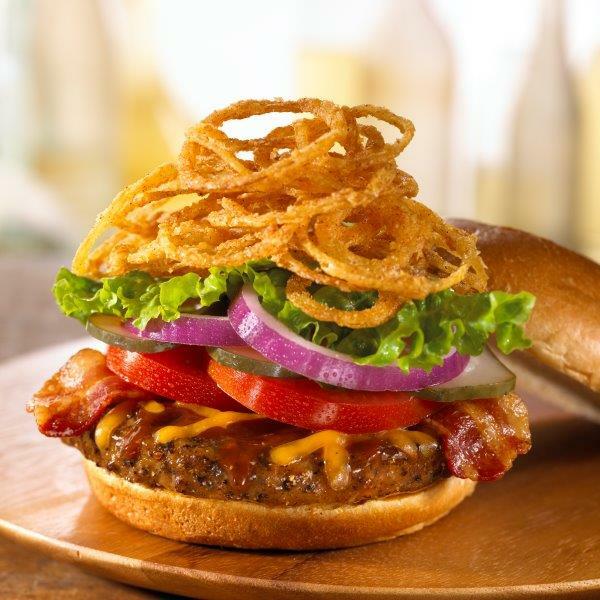 Fire grilled juicy burger with Fridays™ Signature Glaze, crispy bacon and cheese. 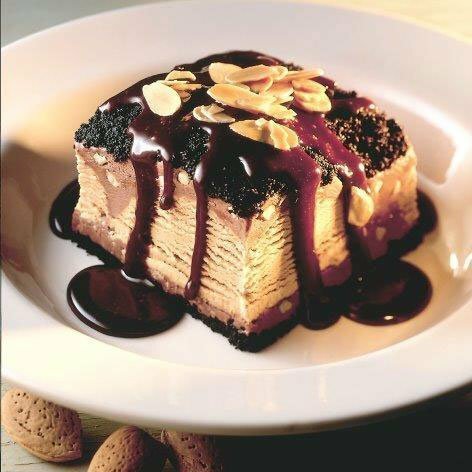 Rich, chocolate-almond mousse, mocha ice cream and Oreo® cookie crumbs. Topped with hot fudge and toasted almond slices. 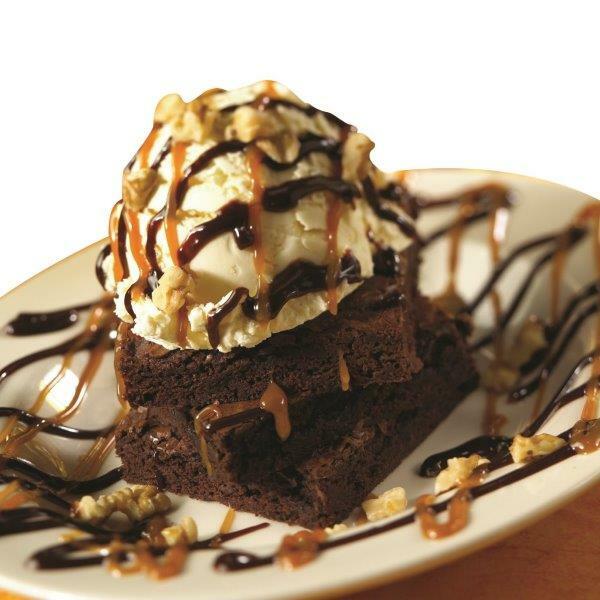 Triple, rich, moist chocolate brownie topped with vanilla ice cream, hot fudge, caramel sauce and walnuts. 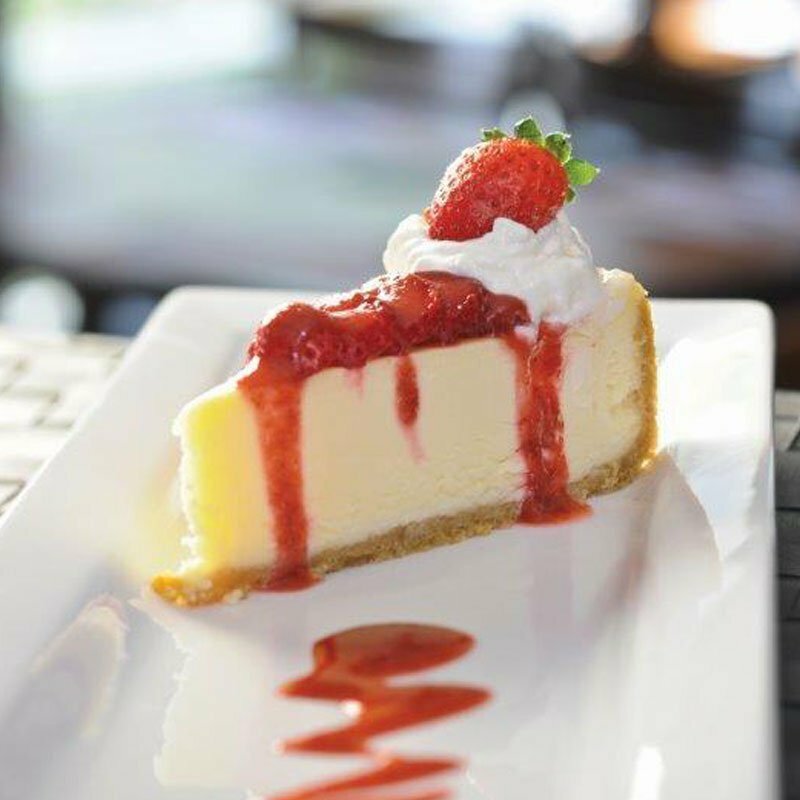 A silky smooth, creamy, melt in your mouth dessert served with fresh strawberries, strawberry sauce and whipped cream. 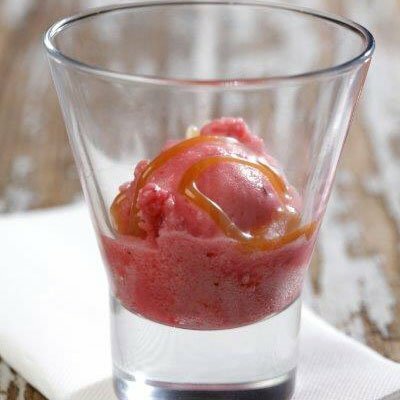 Three scoops of your choice of ice cream or sherbet. Flavors: Vanilla, Strawberry, Chocolate, Mocha and Orange sherbet. 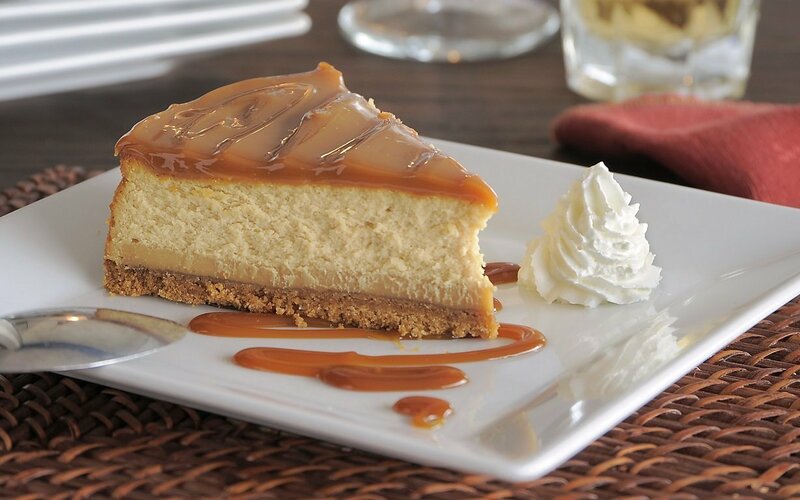 Surrender into this rich, velvety smooth caramel cheesecake. Topped with caramel sauce and served with whipped cream. Imagine five layers of chocolate heaven. 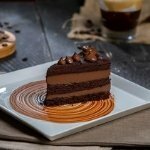 Moist chocolate cake with three different types of rich Belgian chocolate ganache. 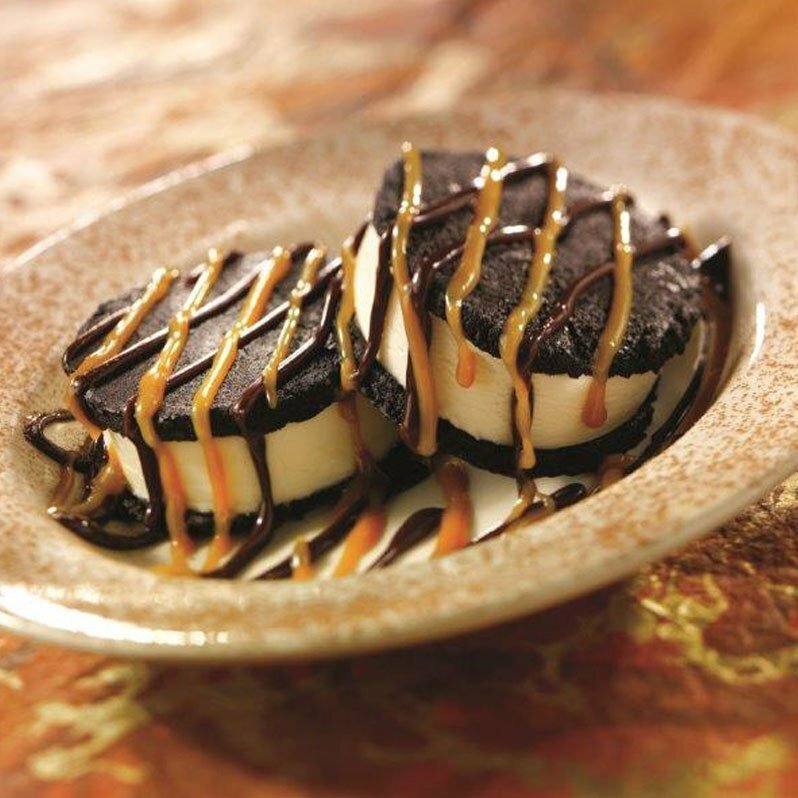 Two giant Oreo® cookies sandwiched around vanilla ice cream and topped with hot fudge and caramel sauce. 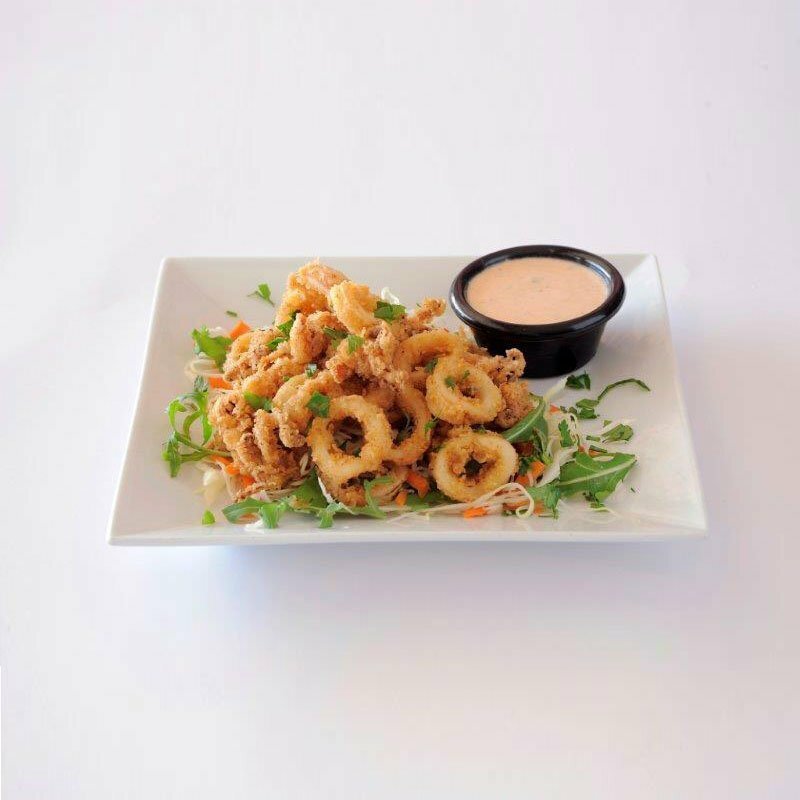 Crispy baby calamari breaded and fried to perfection. 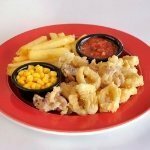 Served with marinara sauce, kids fries and sweet corn. 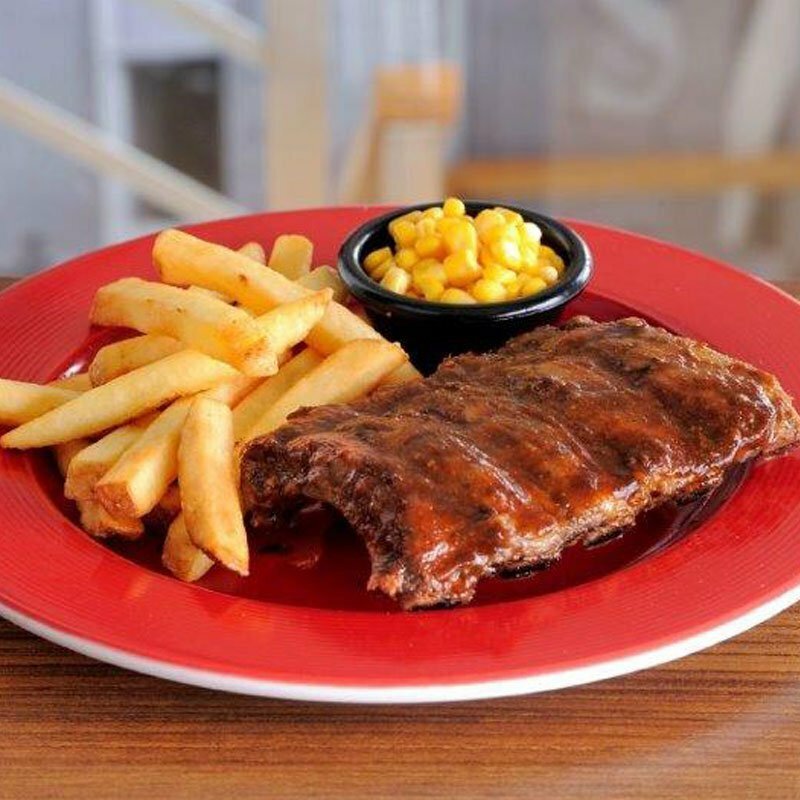 Half rack of Barbeque Ribs. Served with kids fries and sweet corn. 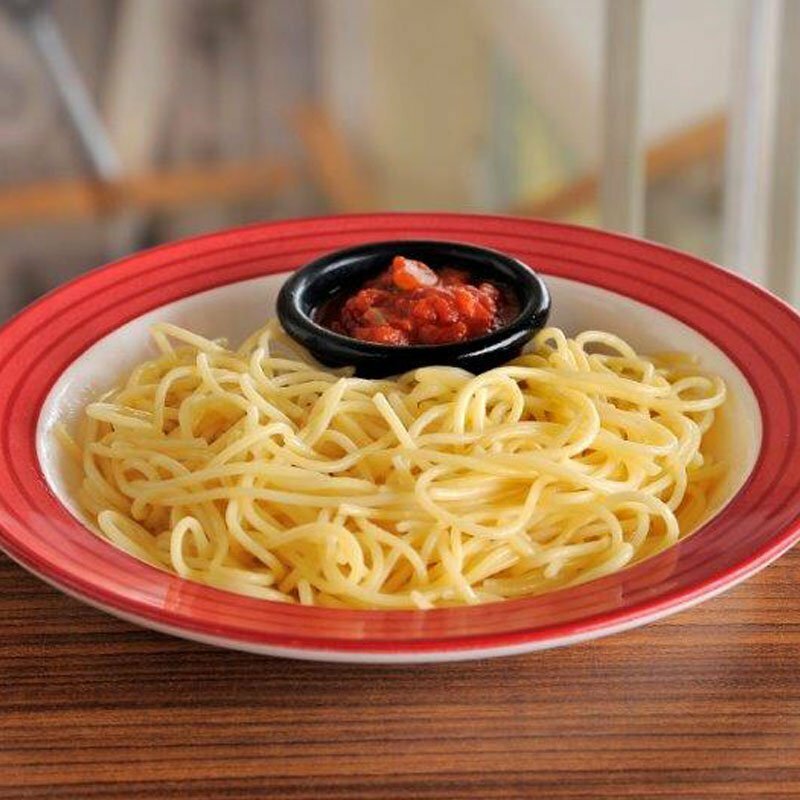 Spaghetti served with marinara sauce. Also available with chicken. Delicious spaghetti tossed in creamy Alfredo sauce with Parmesan cheese. Also available with chicken. 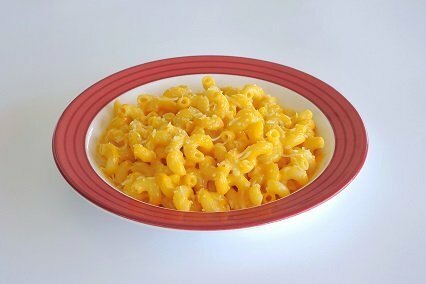 Irresistible creamy cheeses and elbow noodles golden-fried to perfection. 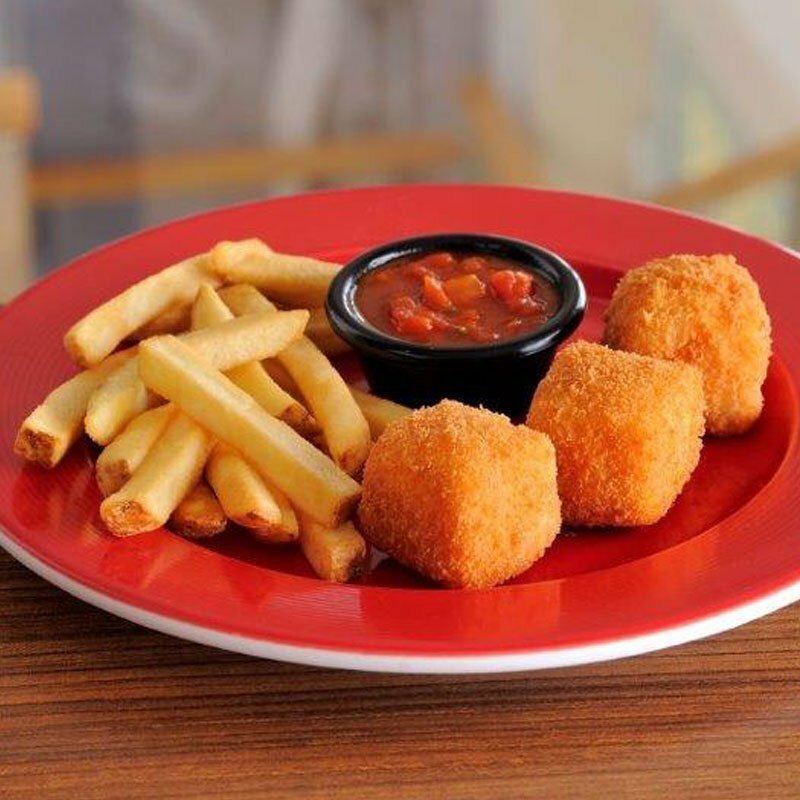 Served with kids fries and marinara sauce. 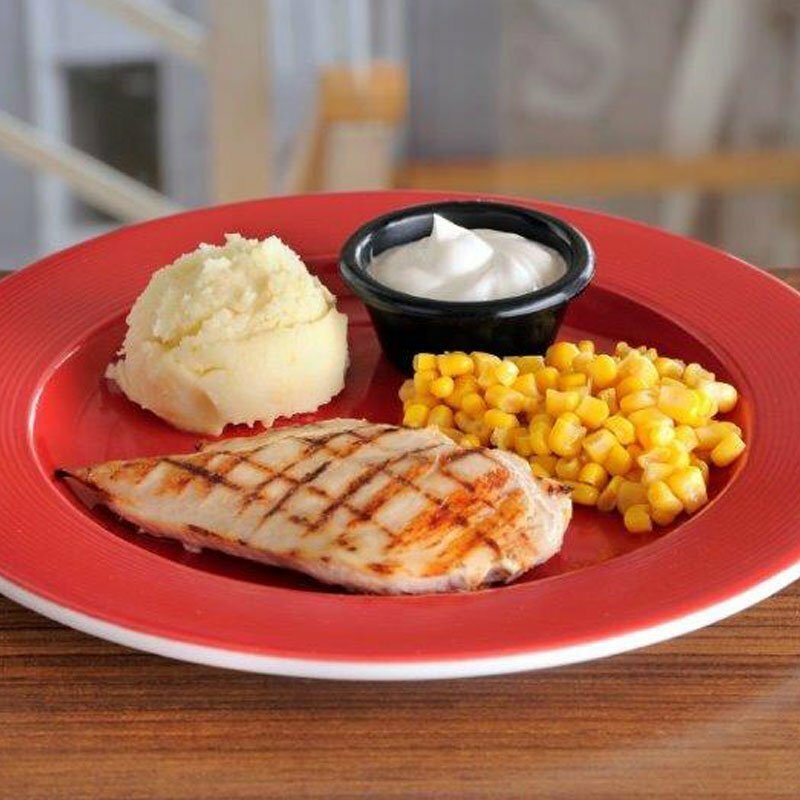 A juicy fire-grilled chicken breast. Served with refreshing light yoghurt, kids Cheddar cheese mashed potatoes and sweet corn. A tower full of fun! 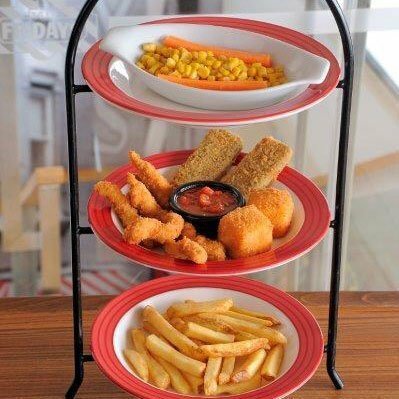 Fried Mozzarella, Mac & Cheese, Chicken Strips, marinara sauce, kids fries, sweet-corn and carrot sticks. Irresistible elbow noodles with three melted cheeses. 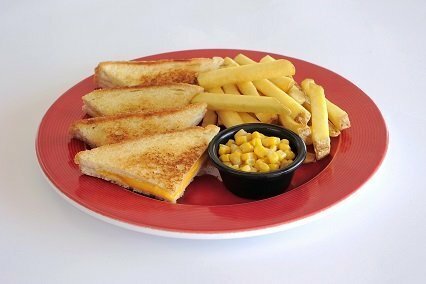 A melted cheese sandwich served with kids fries and sweet corn. Strips of breaded deep fried chicken breast. 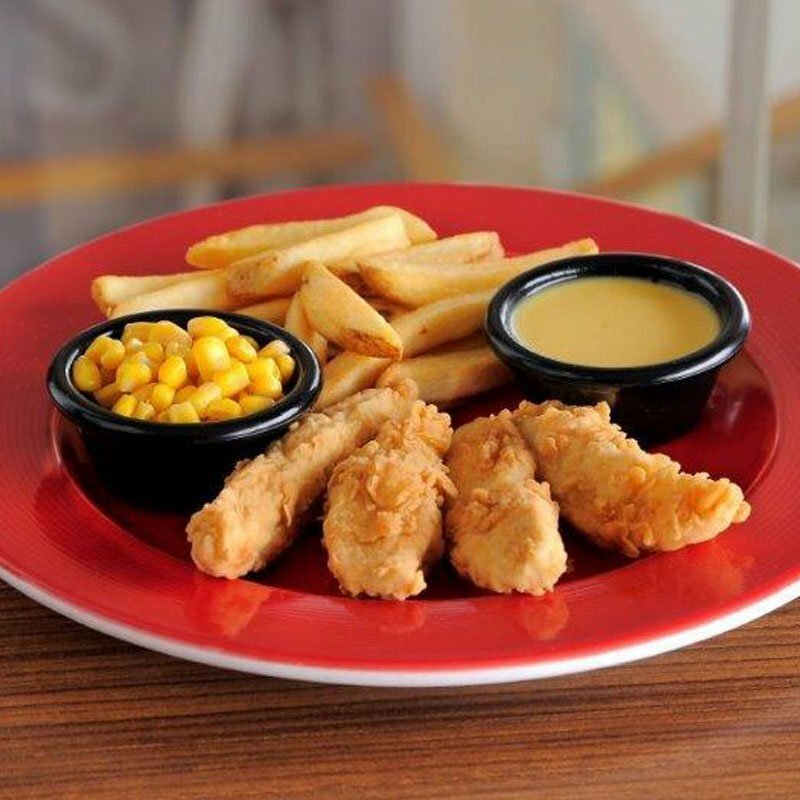 Served with Honey Mustard sauce, kids fries and sweet corn. 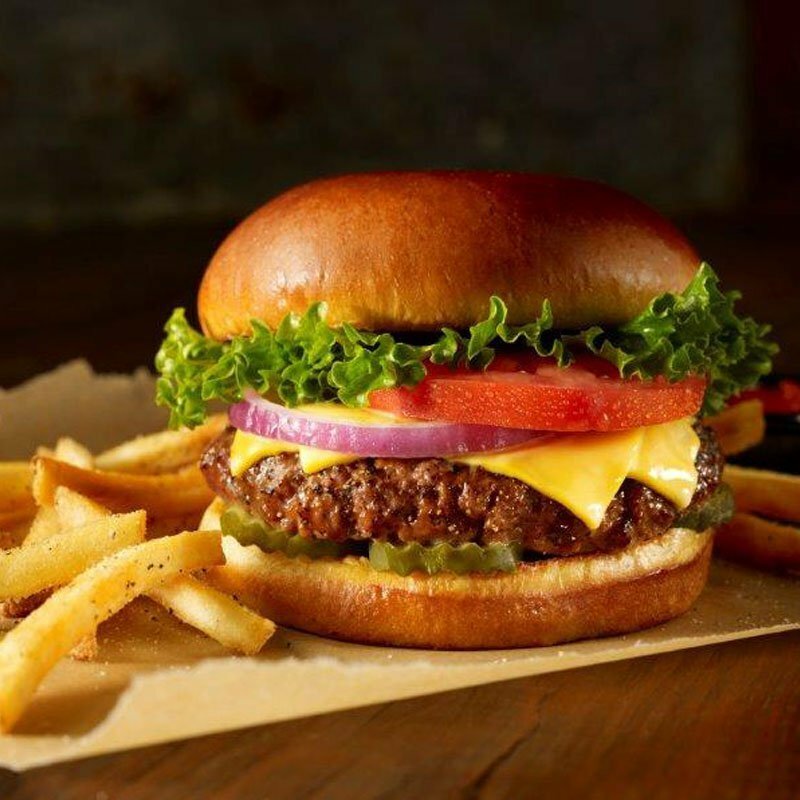 A juicy cheeseburger (125gr). 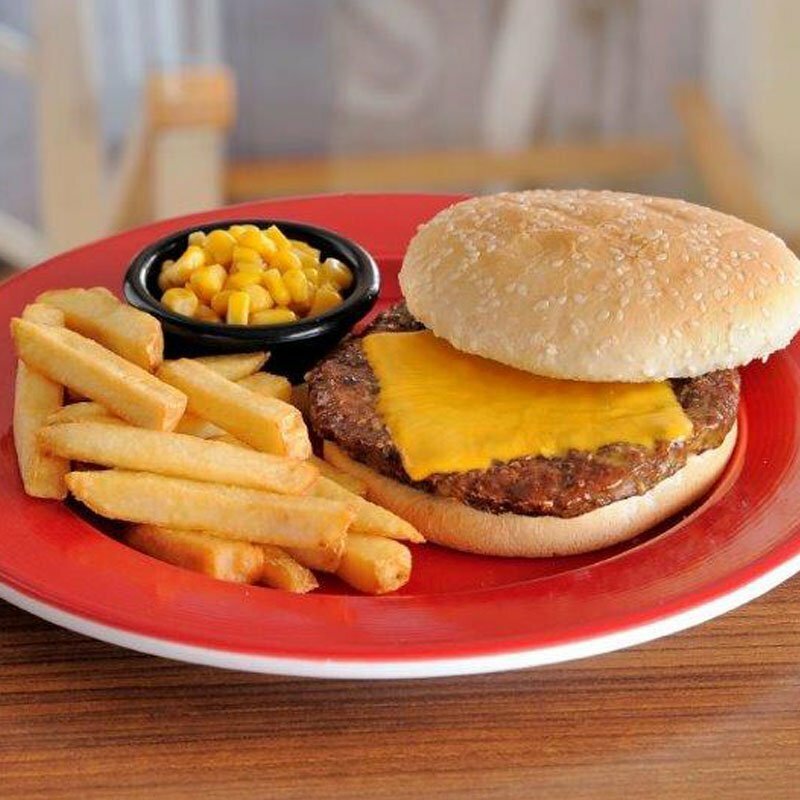 Served with kids fries and sweet-corn.